My favorite things to do in Hyderabad! 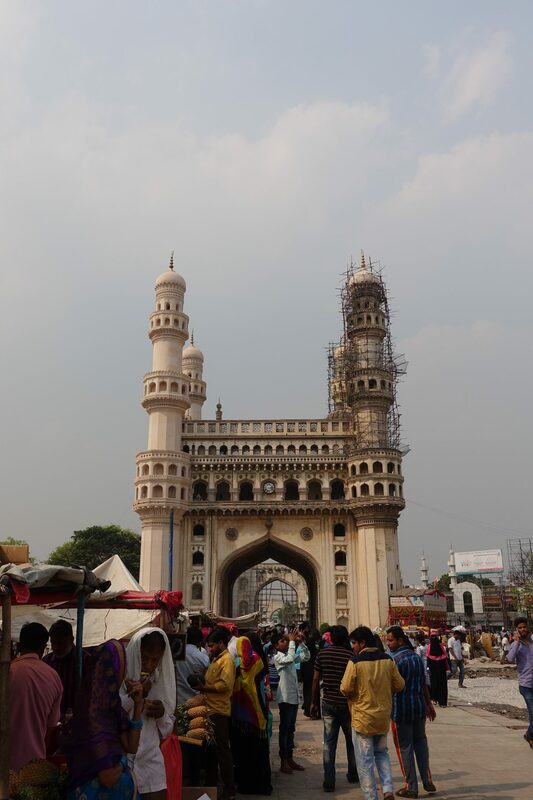 While there are a lot of things to see in Hyderabad, India, I am not one to hop from one sight to the next. I like to truly explore a place and this list consists of my absolute favorite things to do in Hyderabad. 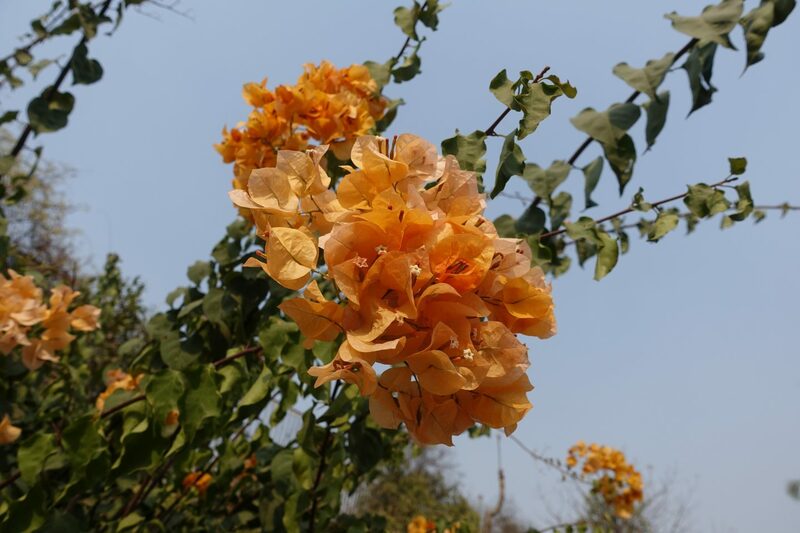 Hyderabad is in the South and the capital of India’s state Telangana. The city is considered a tech hub and home to heaps of upscale restaurants and shopping malls. If you are vegan, make sure to check out my guide to vegan food in Hyderabad. Birla Mandir is a huge Hindu temple located on a small hill called Naubath Pahad. It took 10 years to be built and was opened in 1976. 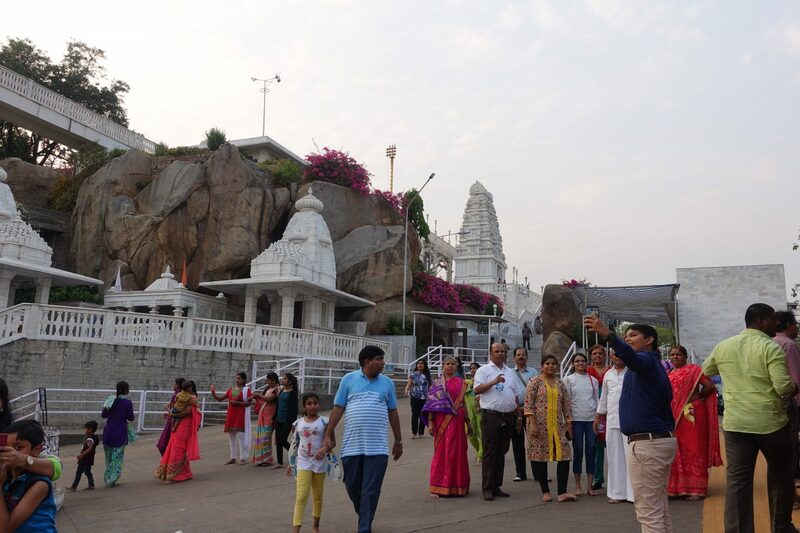 Visiting Birla Mandir was one of my favorite things to do in Hyderabad! The entry is free and there is no charge for storing your shoes and valuables. I am including this because connecting with the Hyderabad Vegans Facebook group was one of my favorite activities while staying in Hyderabad. 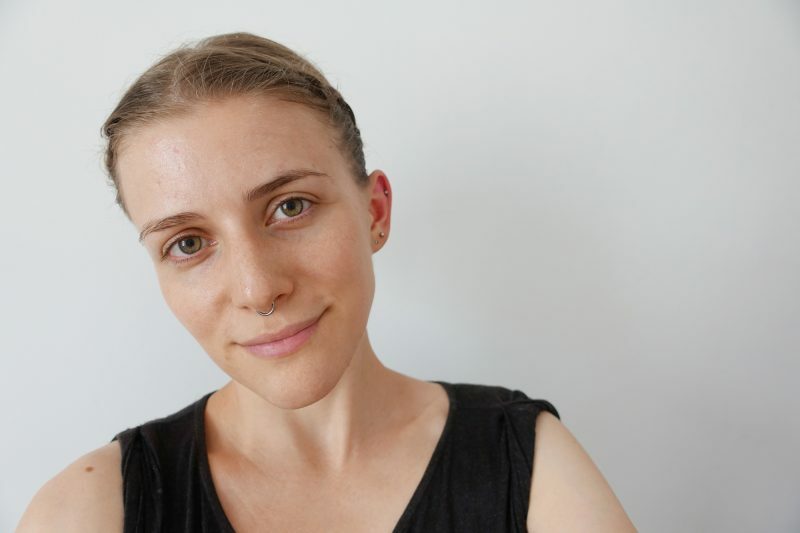 The Hyderabad Vegans group hosted a huge potluck and everyone brought vegan Indian food. 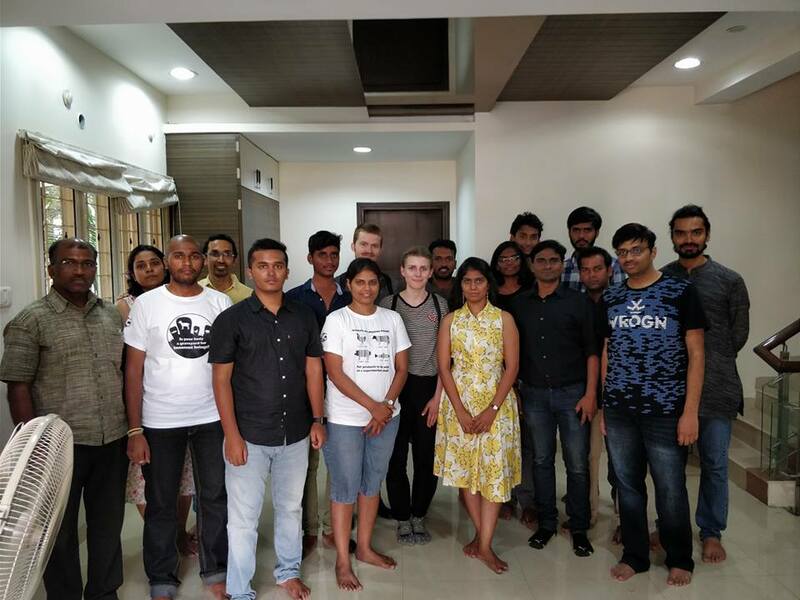 It was a beautiful gathering and if you happen to be in Hyderabad I highly recommend attending one of their events or just reaching out to them through the group. Unfortunately, I didn’t do one as I found out about it too late. I read raving reviews about their walks online though and highly recommend it! Hyderabad Heritage Walks organizes walking tours every weekend. The tours are led by architect and historian Madhu Vottery as well as her lovely team of guides. For just ₹50 per person, including breakfast, you can join a Hyderabad Heritage Walks tour. 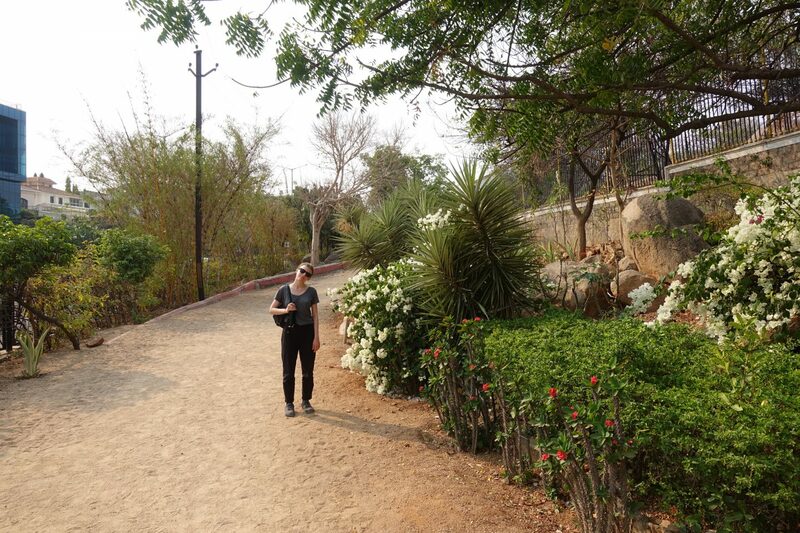 Hyderabad’s air is heavily polluted and the cities park are a nice way to get some much needed fresh air. Most parks seem to be closed after lunch only to open again in the evening, so make sure to check the parks opening hours prior to visiting. 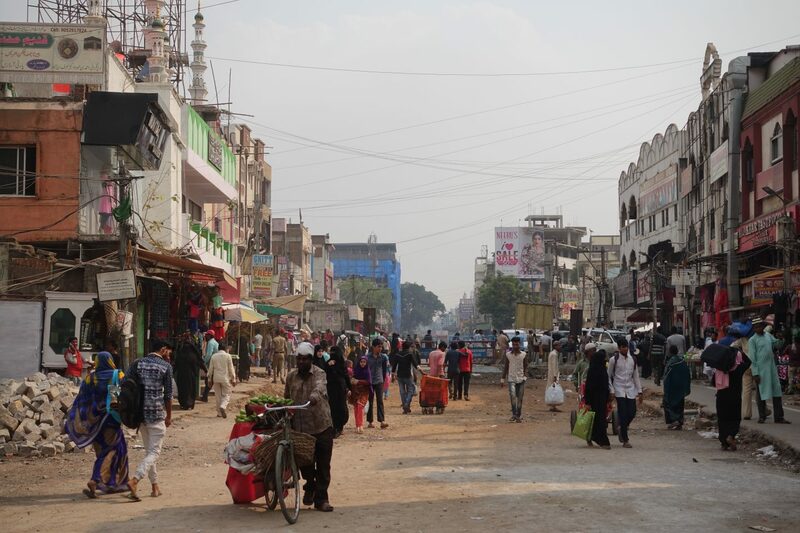 It can get incredibly hot in Hyderabad, so hot that you may not want to walk for extended periods of time. While I’ve taken a fair amount of Uber’s due to the city being rather spread out, I opted for walking wherever possible. I love walking and even if it takes me an hour to get somewhere by foot, I prefer to walk. I’d suggest walking whenever possible. When you walk you will see the little things that you’d otherwise miss. Terassen Cafe is my absolute favorite restaurant in Hyderabad. I loved it so much, I went several times. 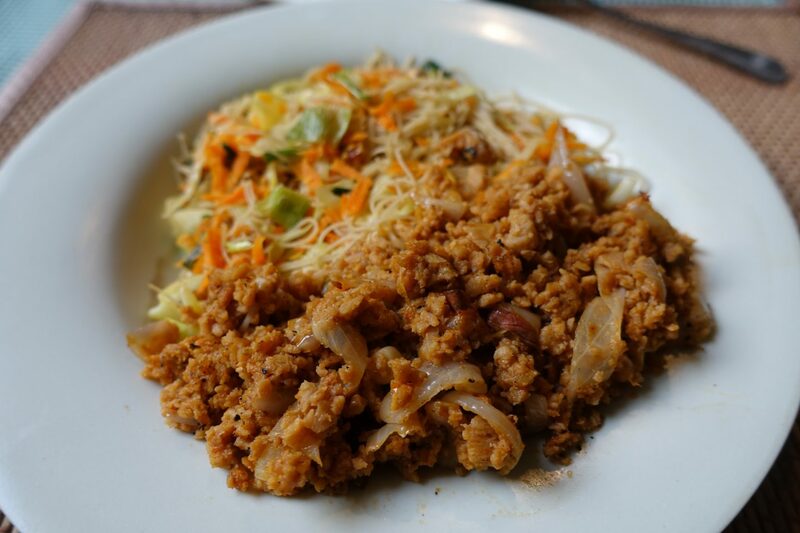 It’s a 100% vegan, slow food cafe, with seasonal offerings and a very interesting menu. Danesh, the owner, is a lovely dude who went vegan several years ago, which eventually led him to open his cafe. Terassen Cafe is one of my favorite vegan restaurants of all time, it’s that fabulous! 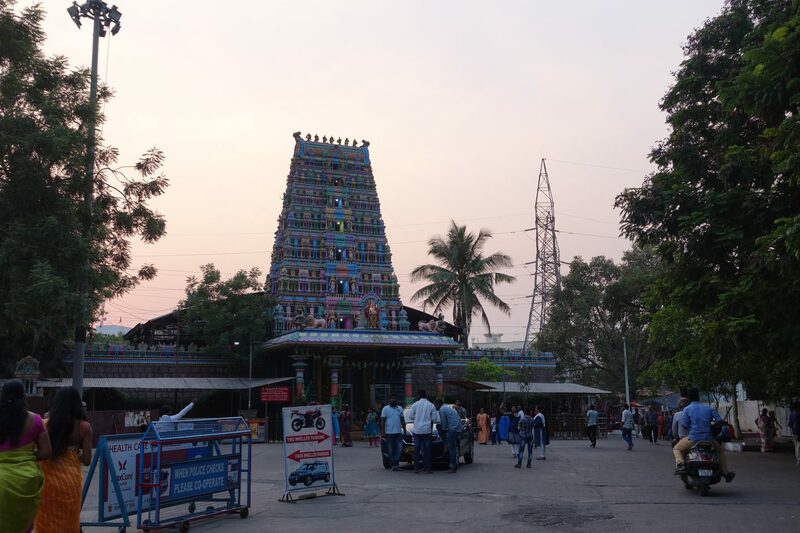 Peddama Temple is located in the center of the city, in Jubilee Hills, and one of the most popular shrines in Hyderabad. The temple, like most temples, is open in the morning and closes in the afternoon only to open again in the evenings. The temple is small, incredibly colorful and definitely worth visiting! Biryani, also known as “spicy rice” is a South Asian rice dish that’s incredibly delicious! So delicious in fact that I can’t wait to cook it myself. While Vegetable Biryani is usually vegan, there are places that use butter/ghee. When ordering it make sure to ask if what you think is vegan, is indeed so. 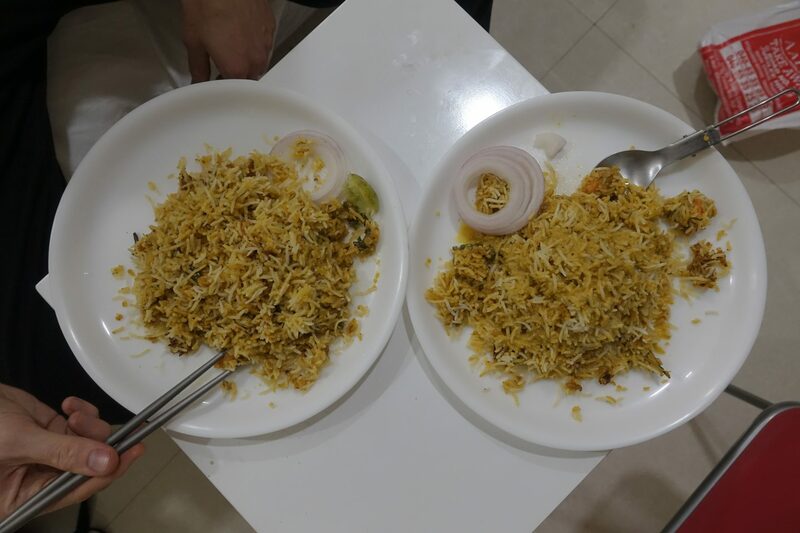 I had great and cheap Biryani at Aahar Take Away for ₹ 100. I am a lover of traveling and living like a local and always make it a point, where possible, to connect with locals. 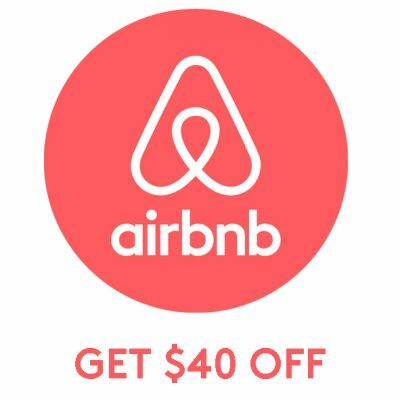 If you are on Couchsurfing, make sure to use it if you are in Hyderabad long enough. 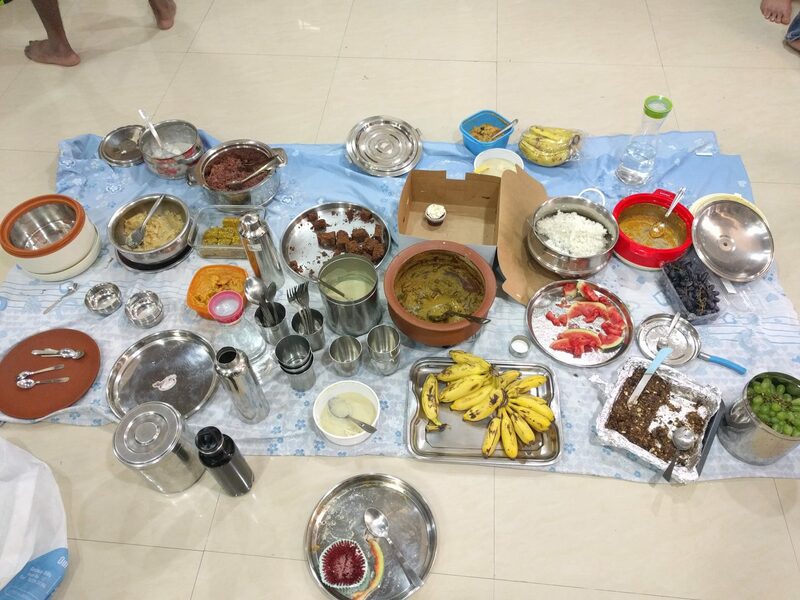 If you are a vegan, as previously mentioned, I highly recommend connecting with the Hyderabad Vegans. 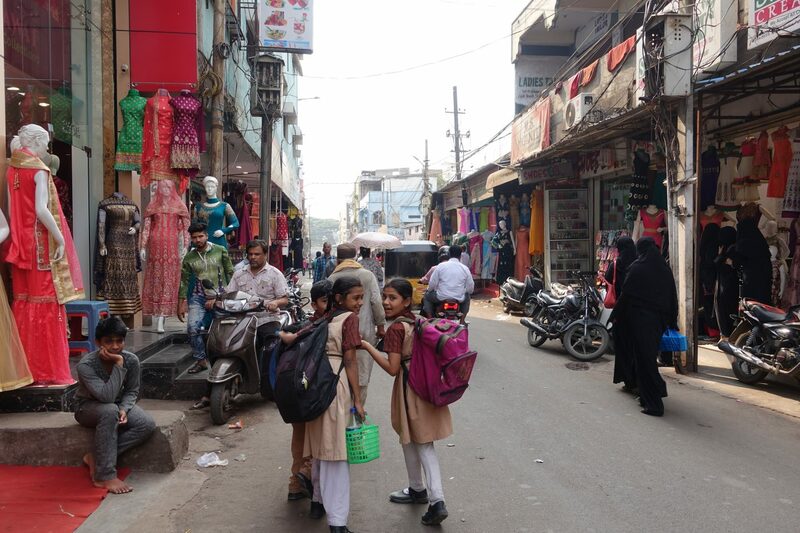 Meeting up with locals was one of my favorite things to do in Hyderabad! While I do recommend walking, whenever possible, Uber pool is a great option when you need to drive somewhere. There are buses and a metro in the city, however, I didn’t end up using it due uber being more convenient for my short term stay. While it can get pricey if you take a regular uber every day, uber pool is surprisingly affordable, especially if you are traveling with someone else. 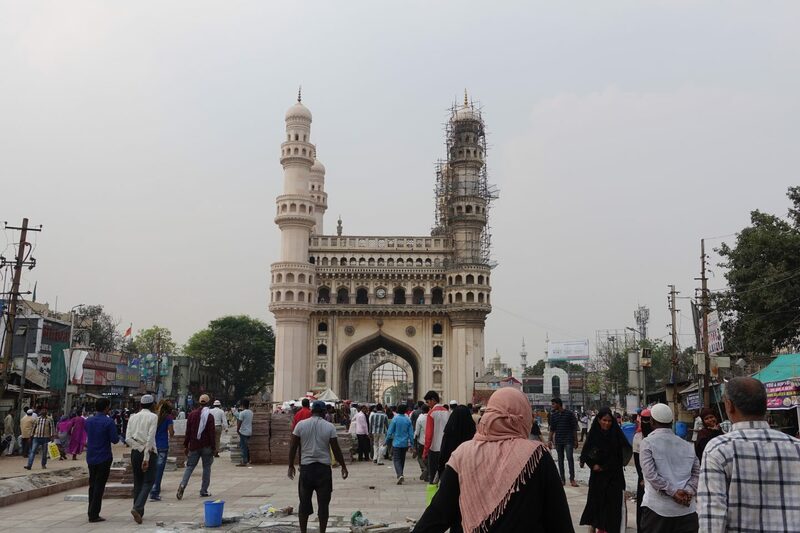 Going to see the Charminar, a gigantic mosque, was one of my highlights of my trip to Hyderabad. It was constructed in 1591 and as you can see from the photo, it’s currently in the process of getting a little makeover. The mosque is surrounded by food stalls and vendors selling everything from bangles to clothing.